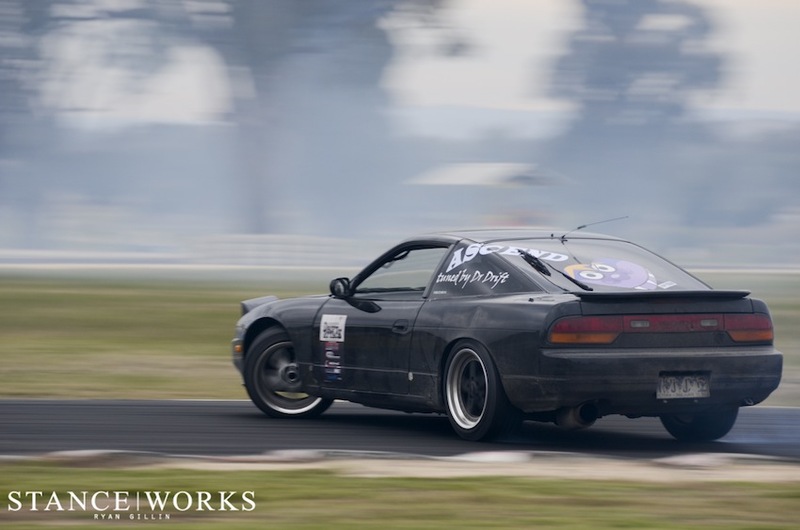 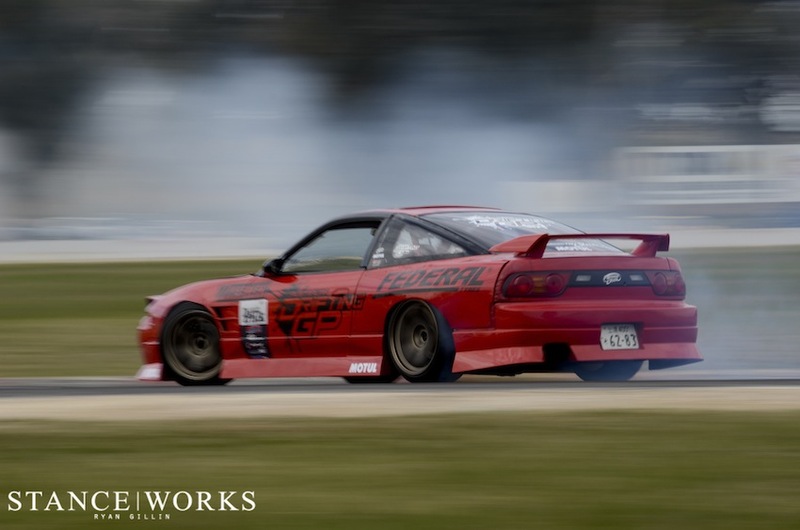 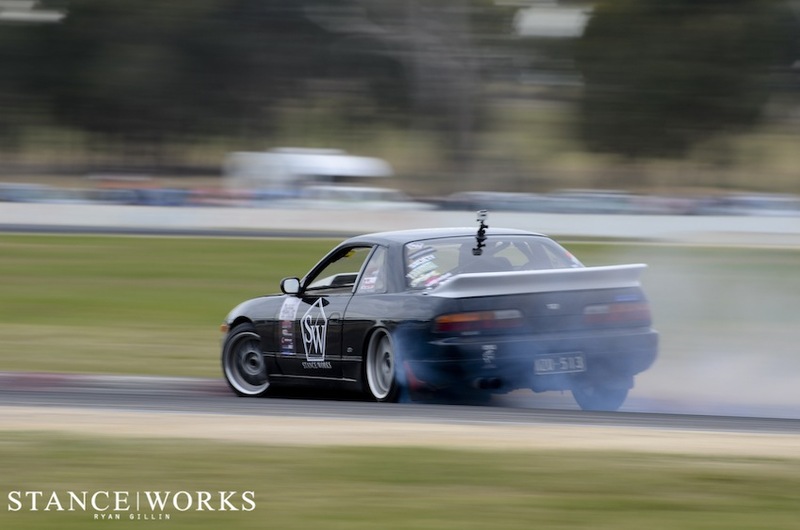 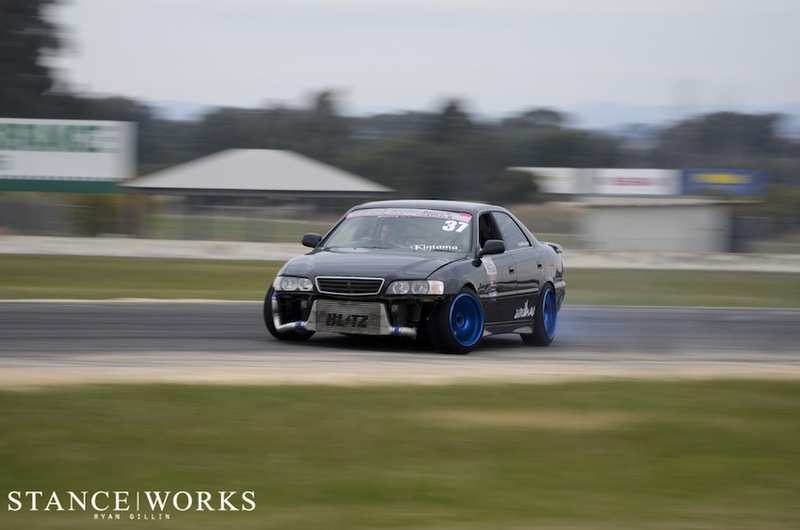 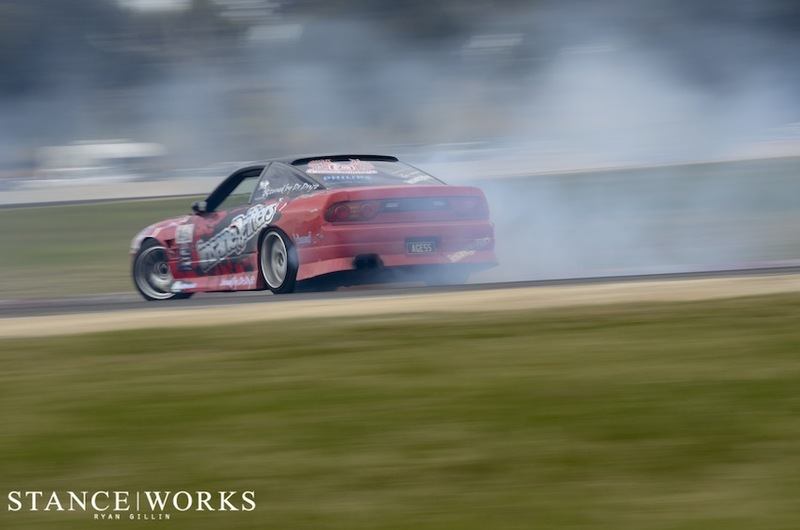 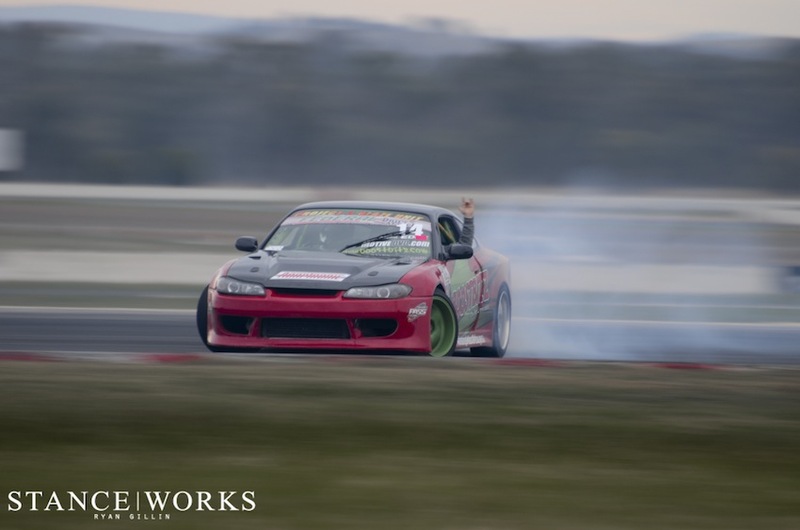 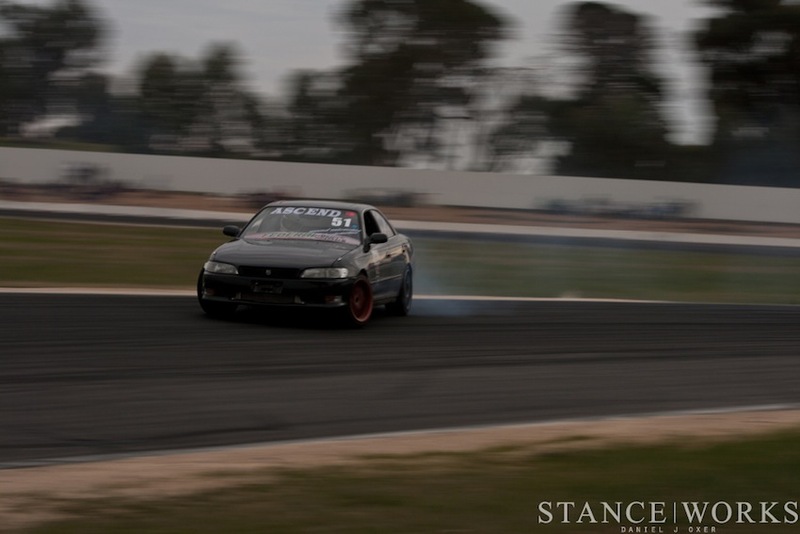 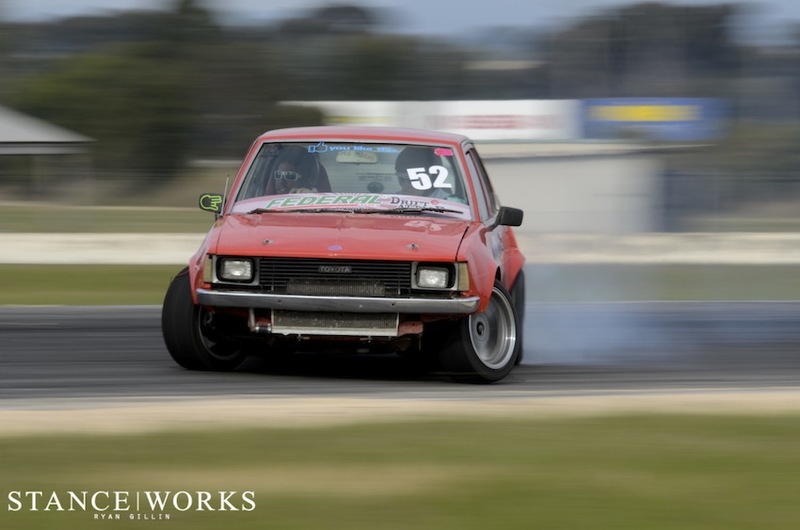 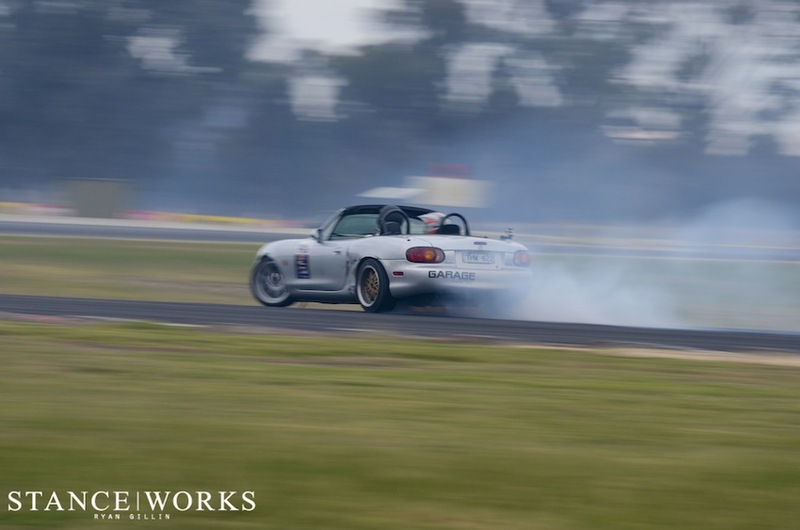 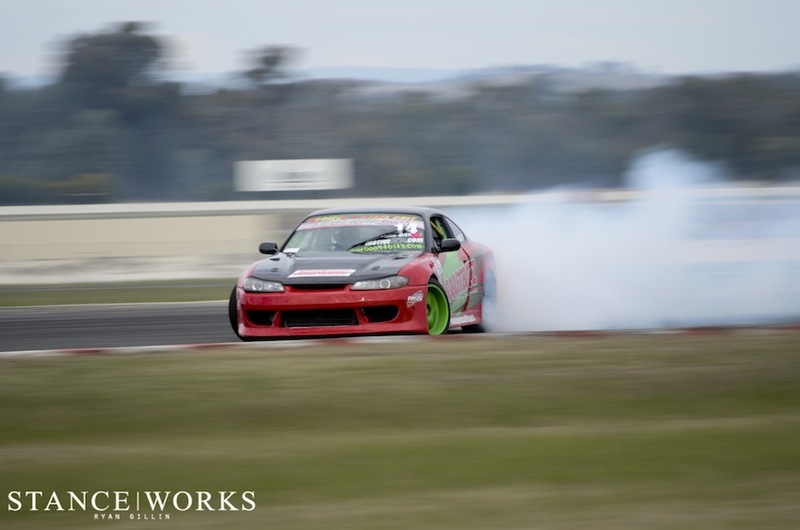 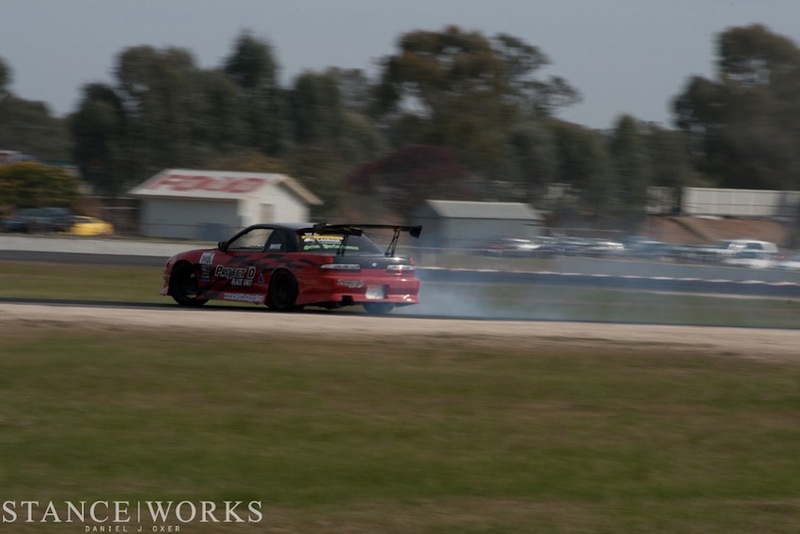 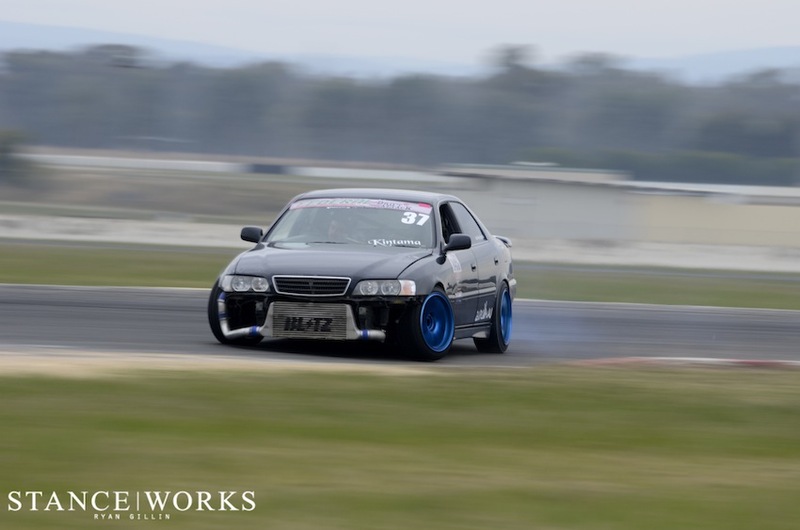 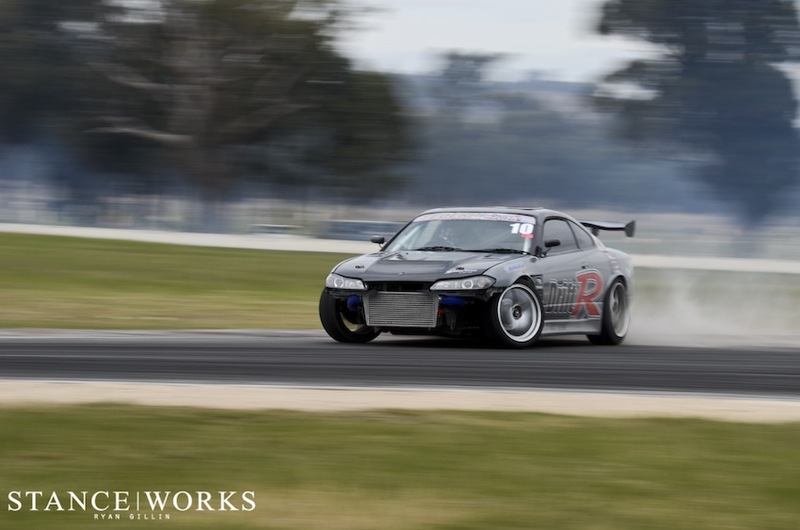 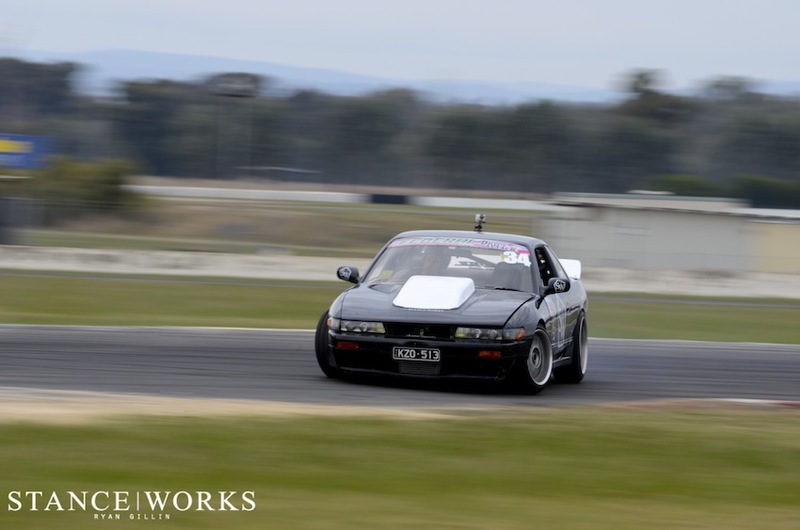 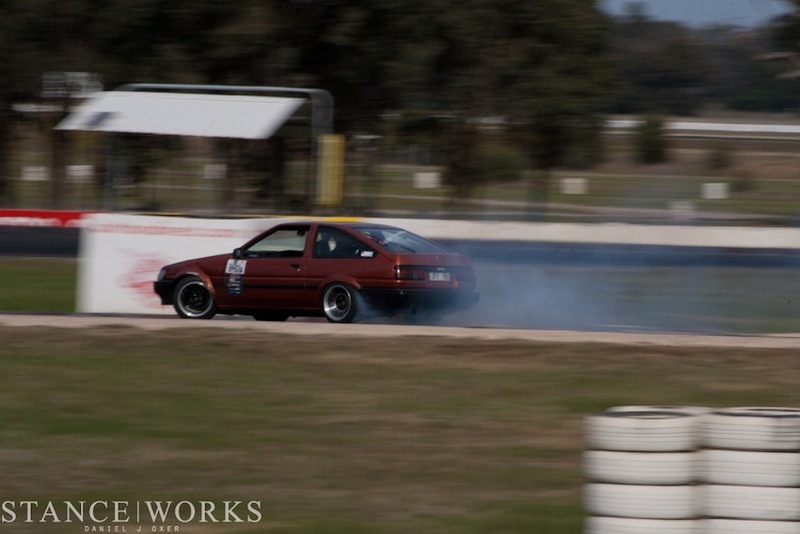 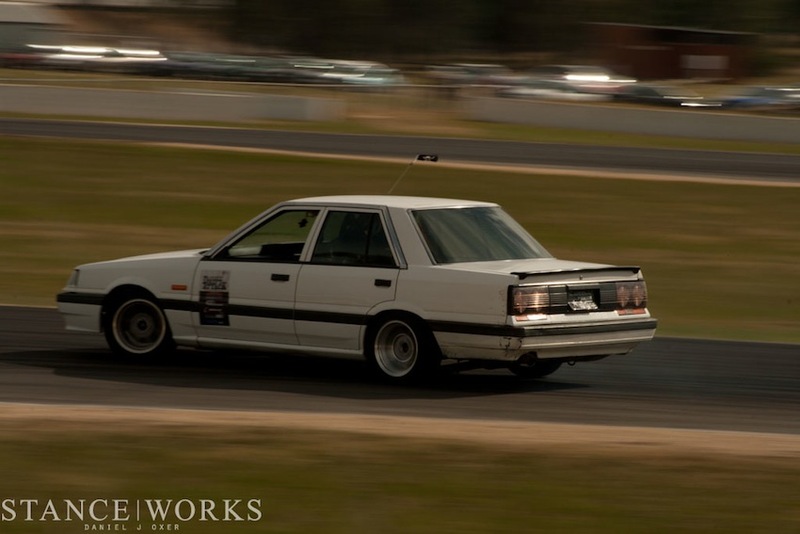 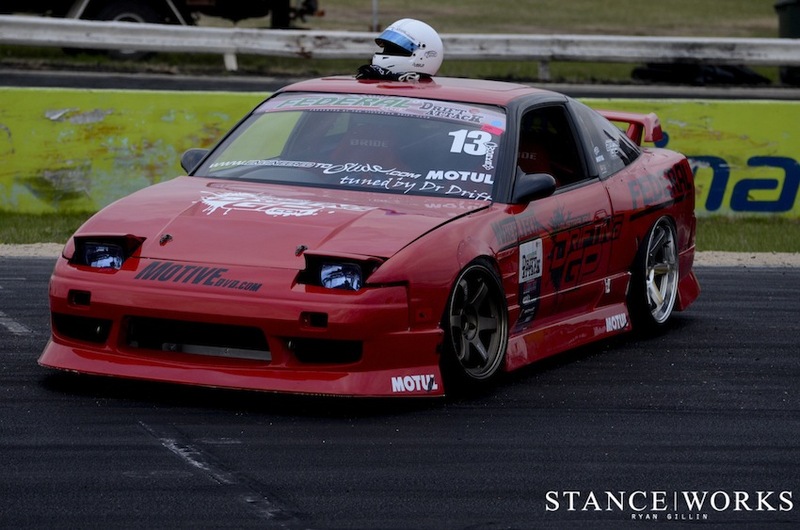 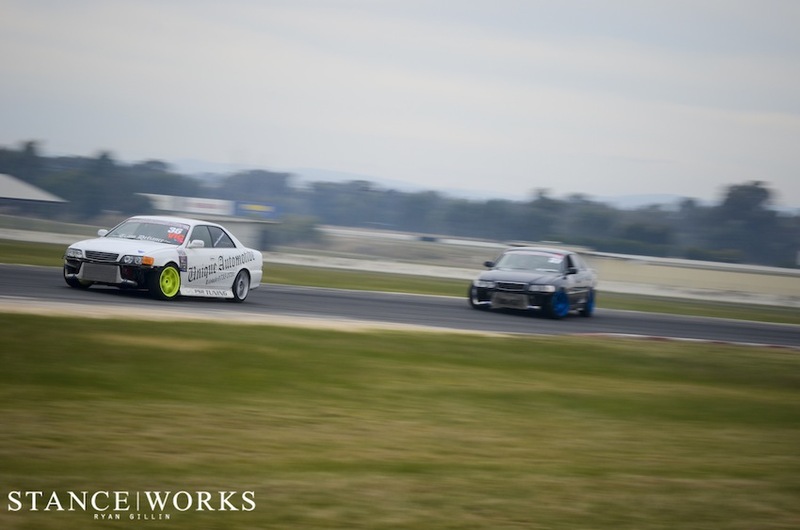 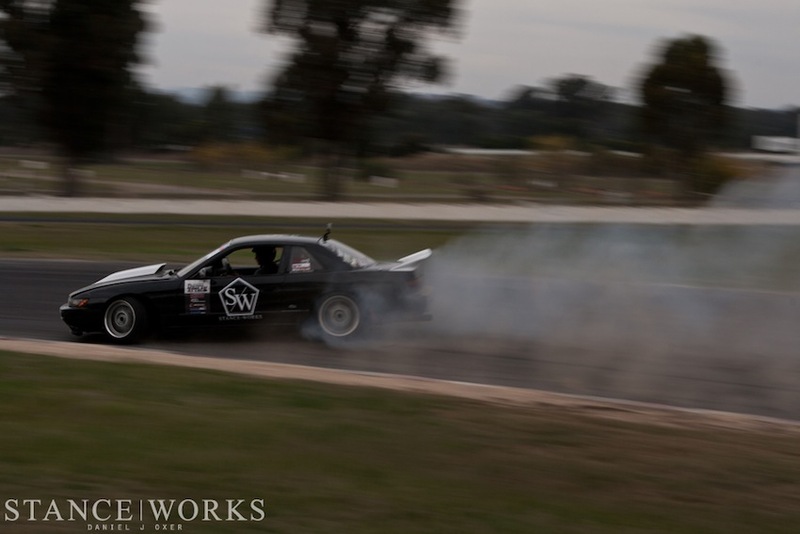 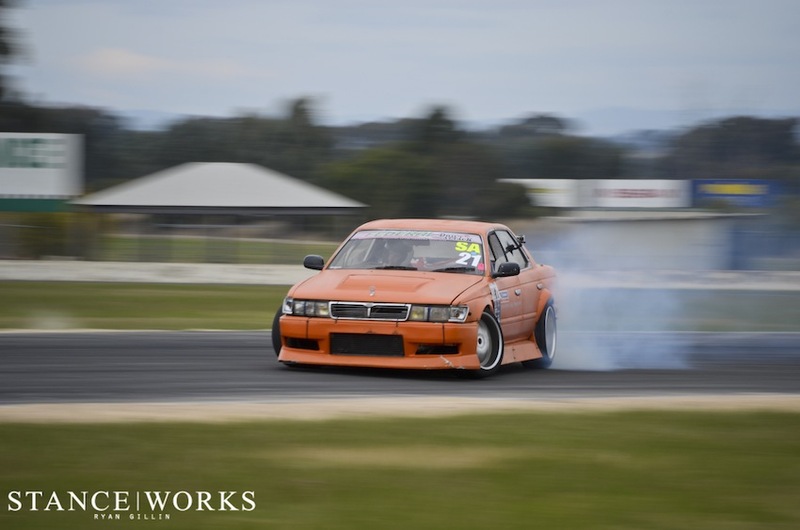 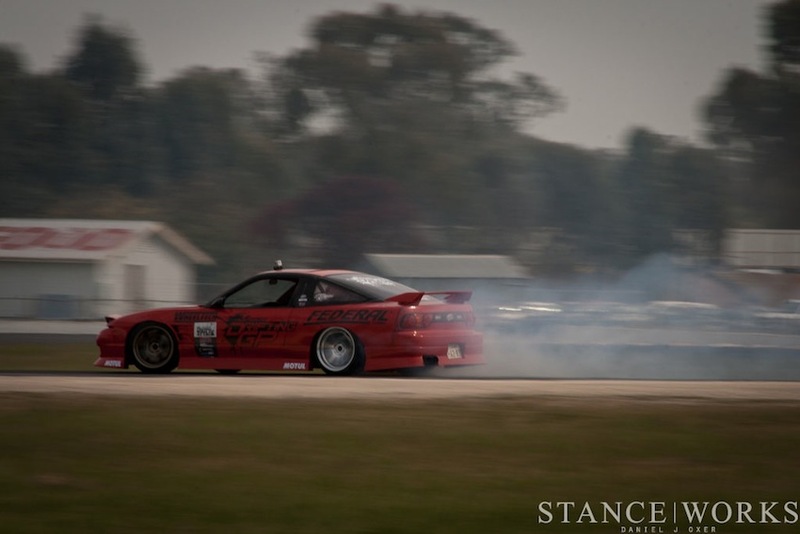 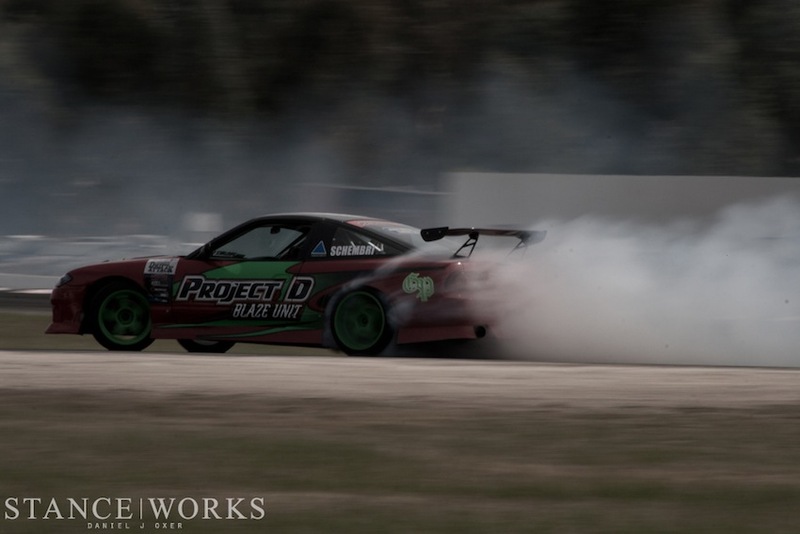 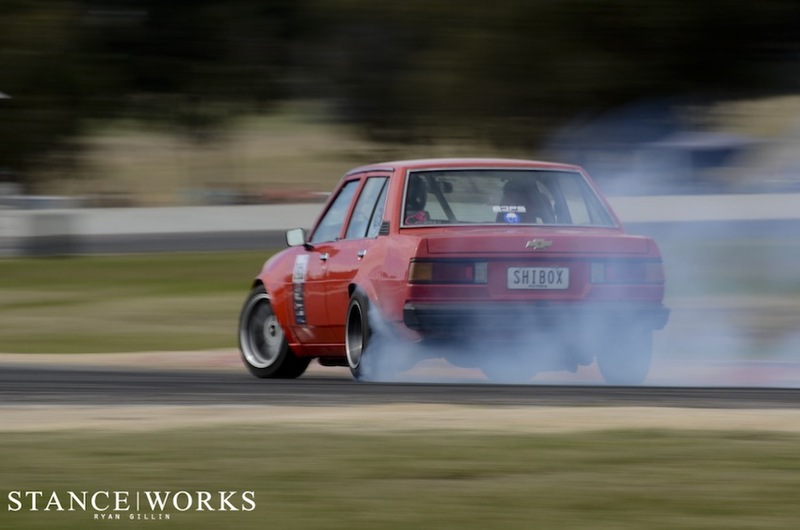 Drift Attack is slowly becoming one of the more notable drift events in the Australian scene. 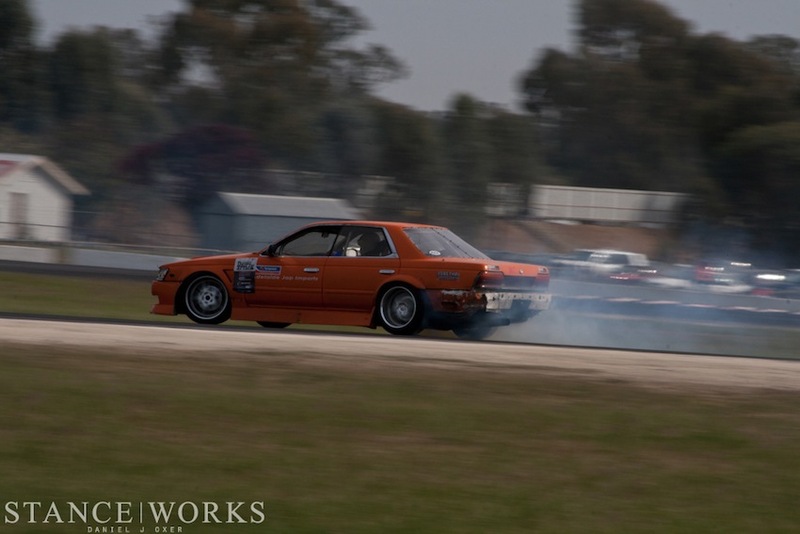 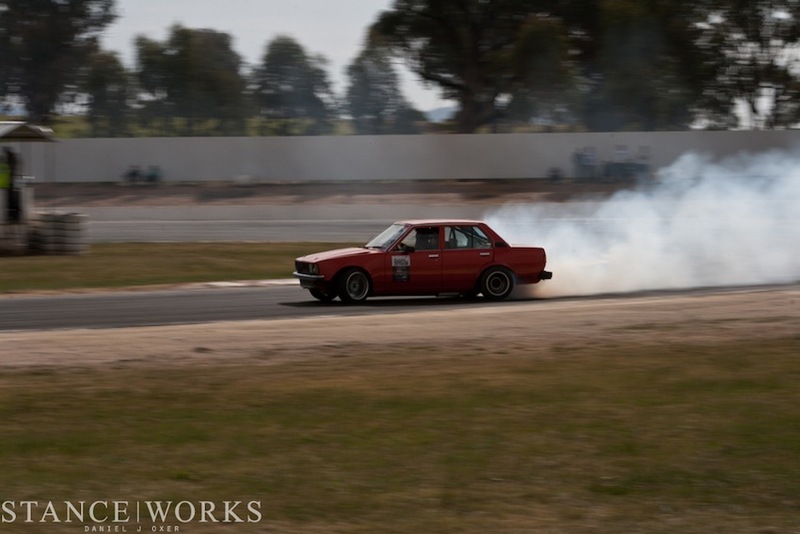 Having been run in previous years, this year Victorian Drift Club is holding two this year. 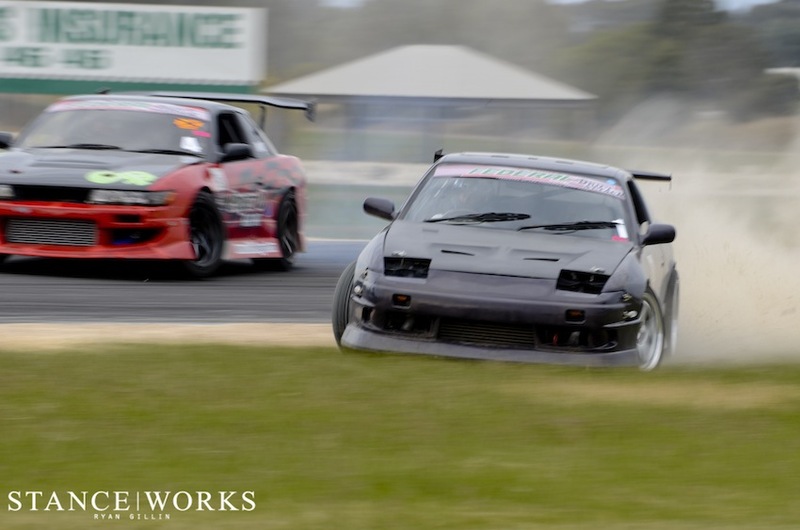 Competitors come from across Australia to compete, show off their skills and do what they love. 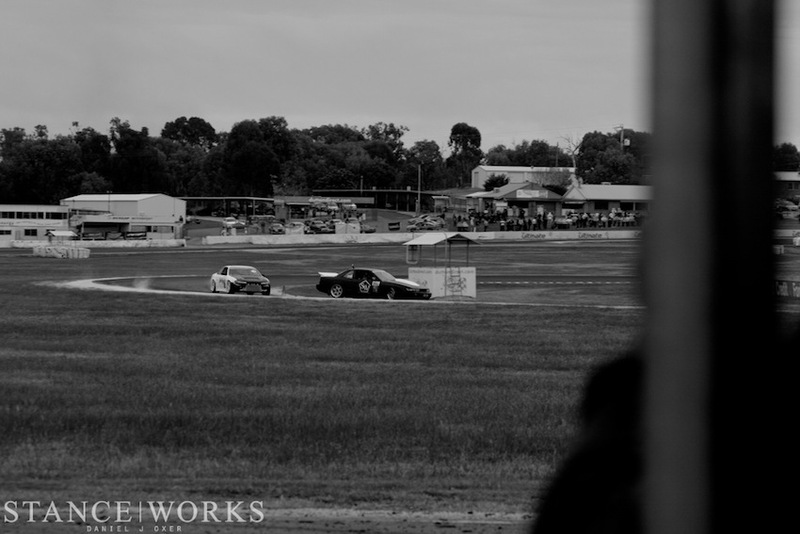 The atmosphere is much different to that of the open practice days. 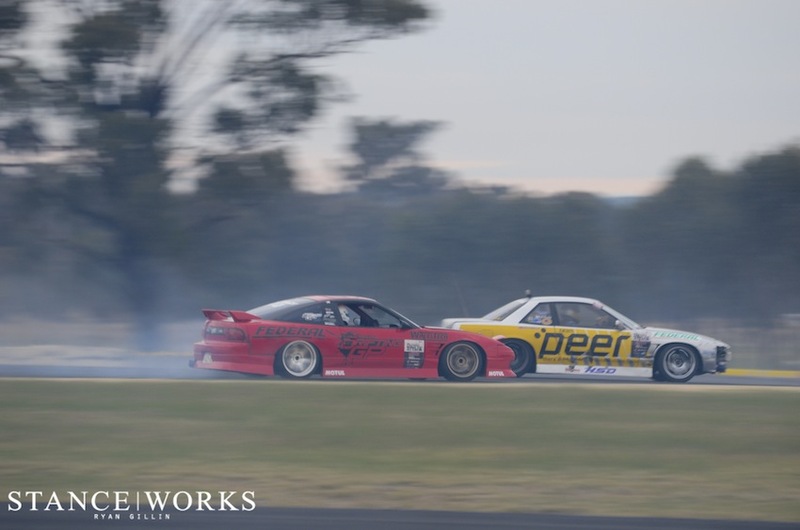 The tension in the air can be cut with a knife once the qualifying rounds begin. 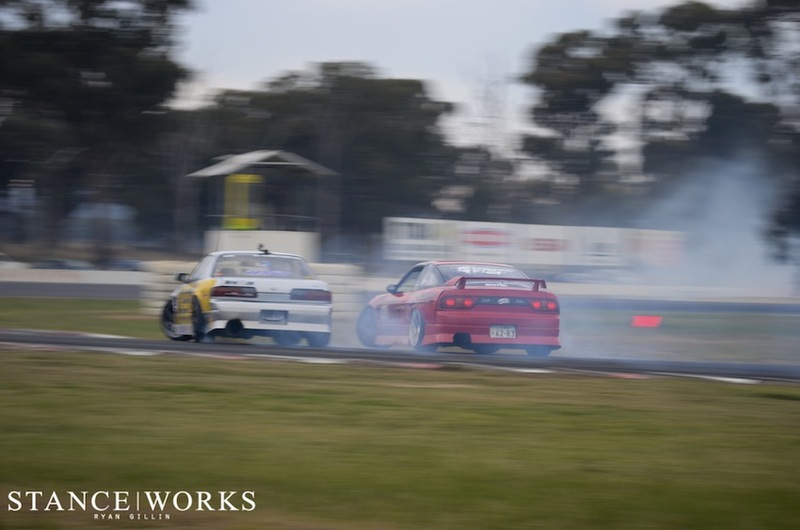 The field was divided into two classes, one for the professionals of the community. 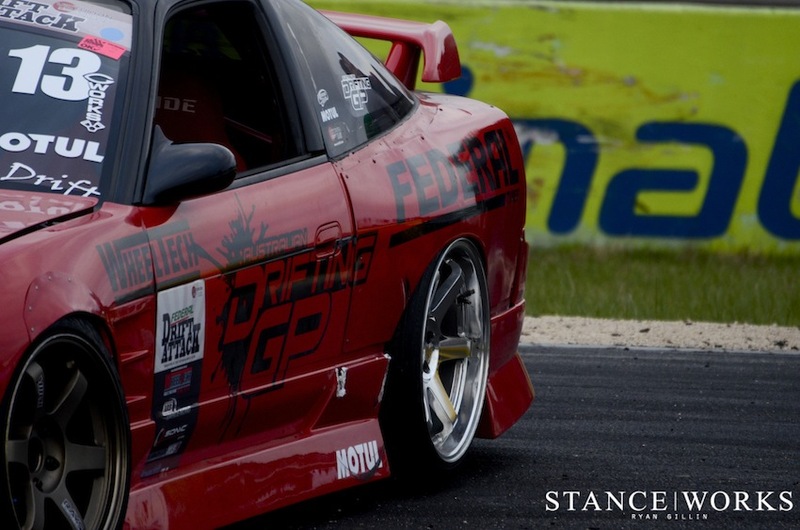 Cars of theirs which have had massive amounts of time, money and dedication poured into them. 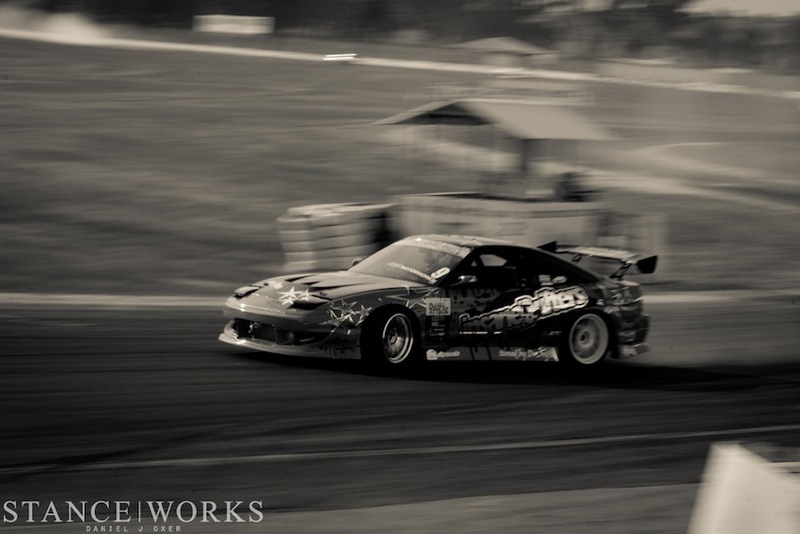 The passion of this sport here flows strong in the minds of the competitors. 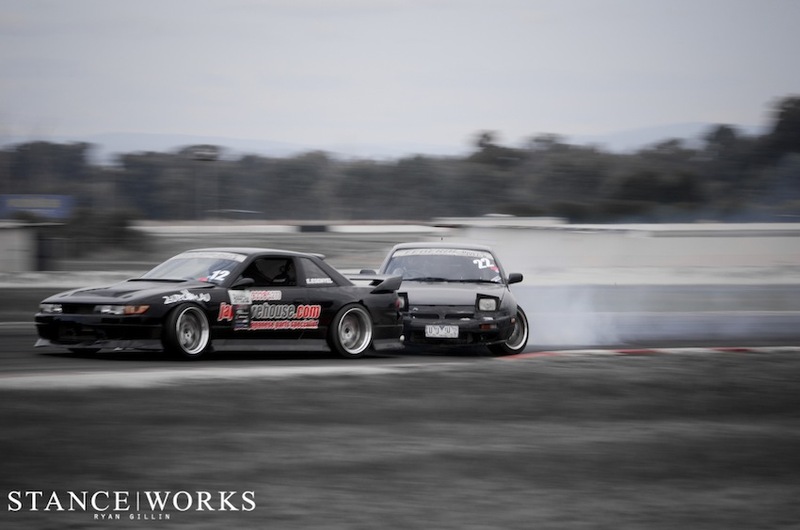 The second class is one for street competitors, those who compete with what they bring, built in the backyard, with the true roots of this culture shining through like the sun on an overcast day. 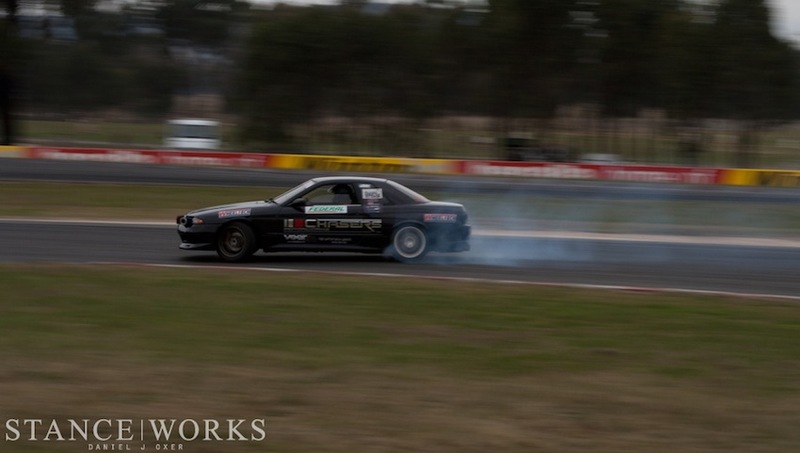 These guys don’t have big backing sponsors, nor do they have flashy paint or spotless engine bays. 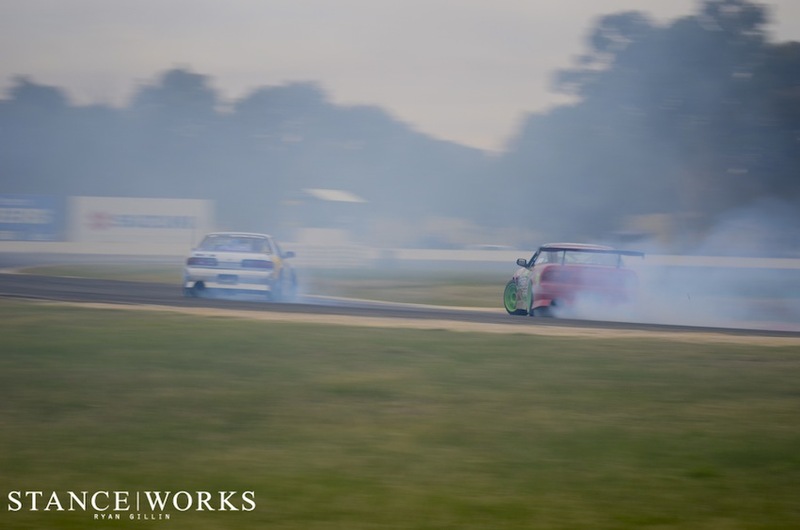 Yet when you speak to either class of driver, you will get similar responses. 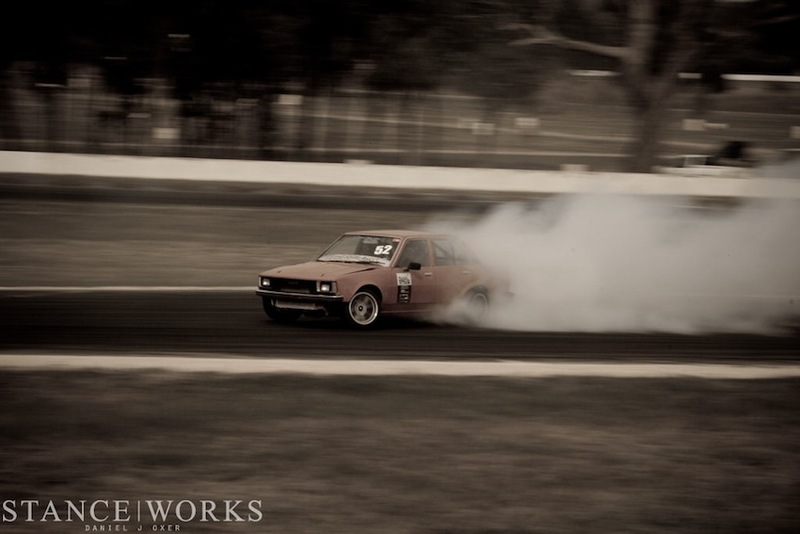 Key in what makes this culture as prevalent as it is. 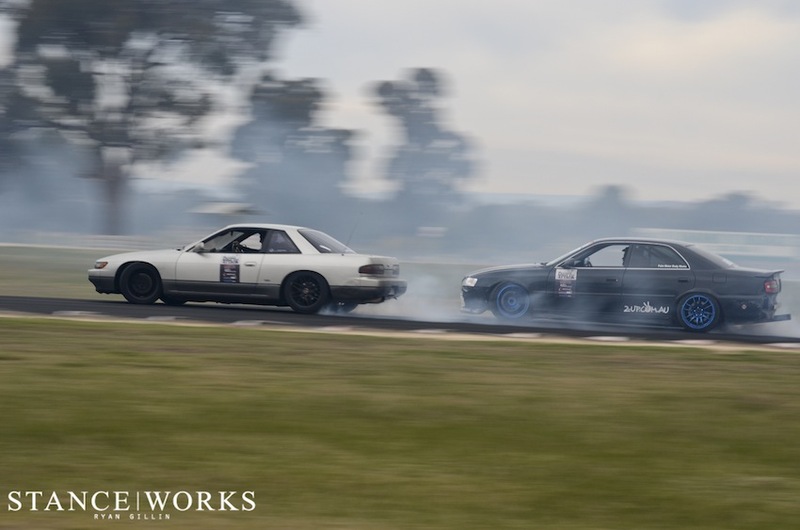 The street class guys don’t care about prize money, the top prize in that class simply pays for their day to be there, pays for fuel, tires, trailers etc. 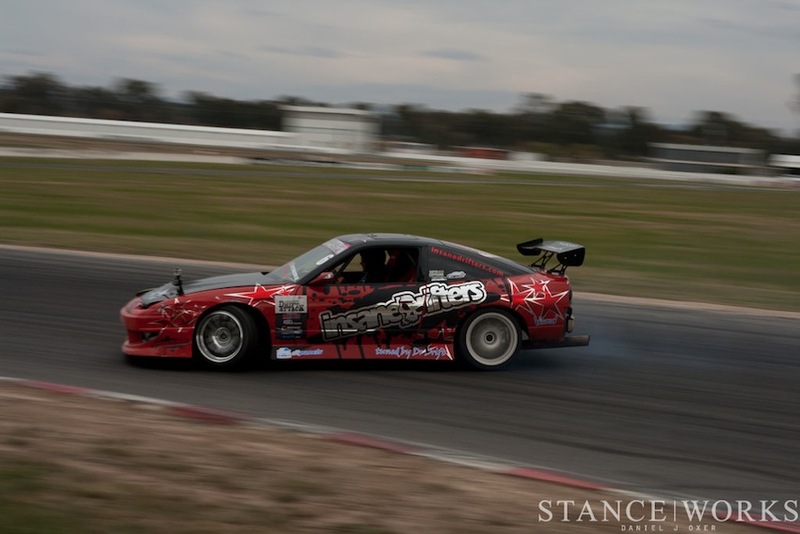 They come to do what they love in a legal environment. 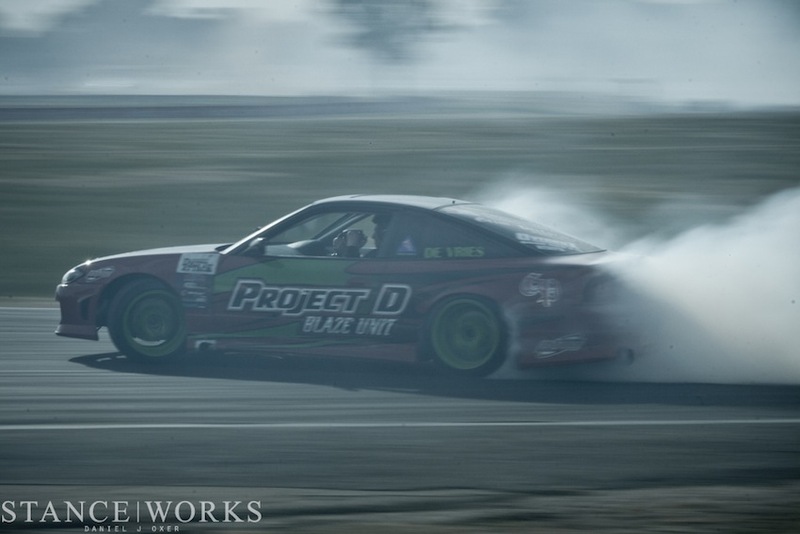 With the never ending battle against law enforcement, the price for the day is justified in their minds. 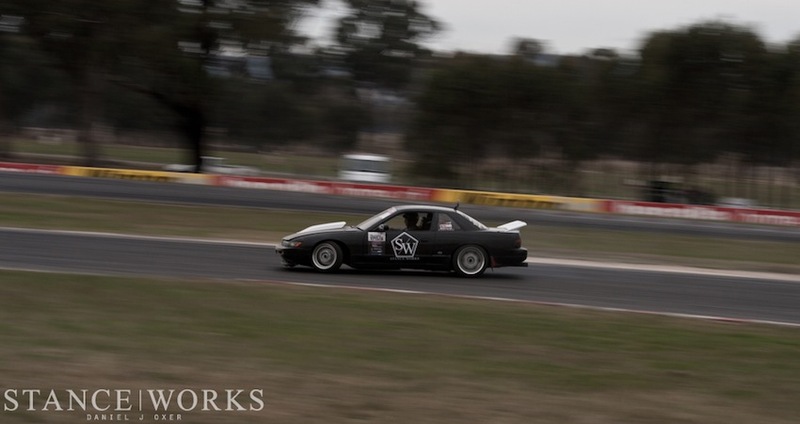 Toli was out on track competing in the street class. 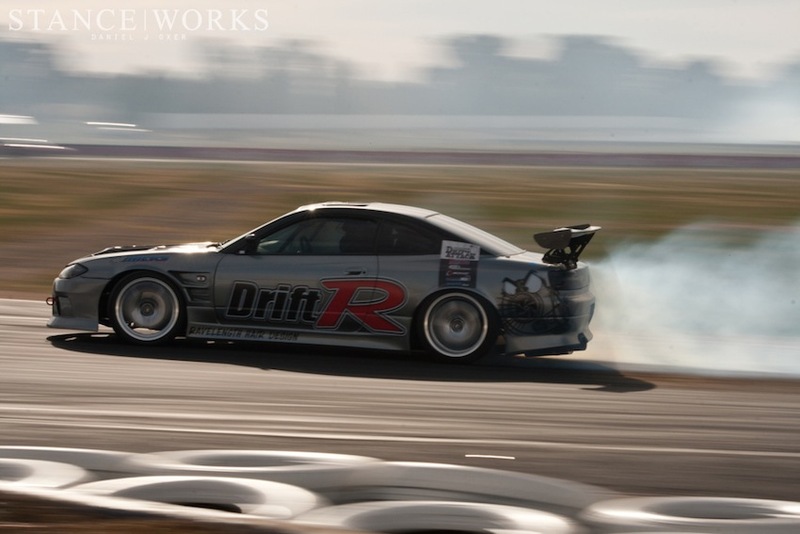 The day was dry, but the common consensus was that it was one of the coldest days people had been out there drifting. 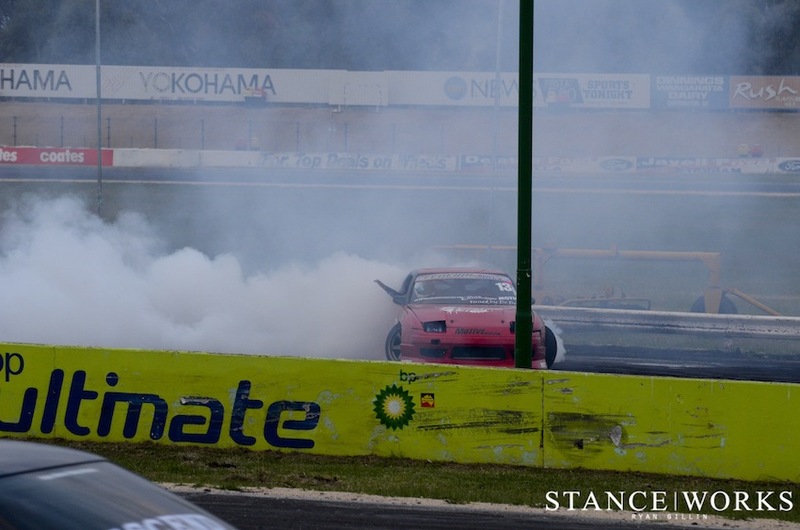 The thermometer didn’t reach over 17C. 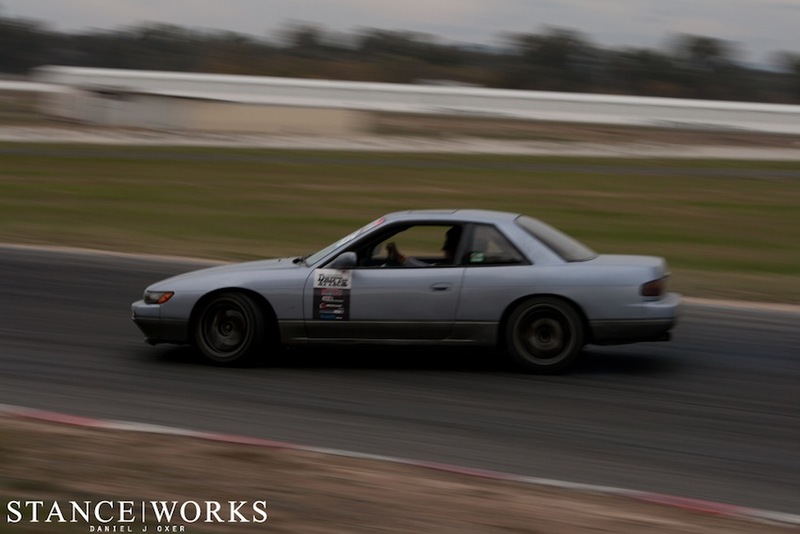 Due to that the track was a little more slippery than usual, making for some exciting, yet hairy times. 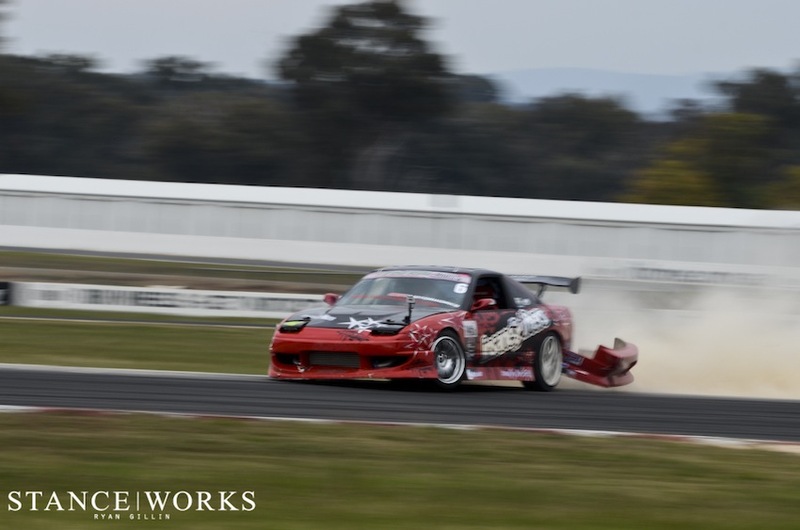 Regardless there were no major accidents, and the Vic Drift crew did an amazing job setting it all up. 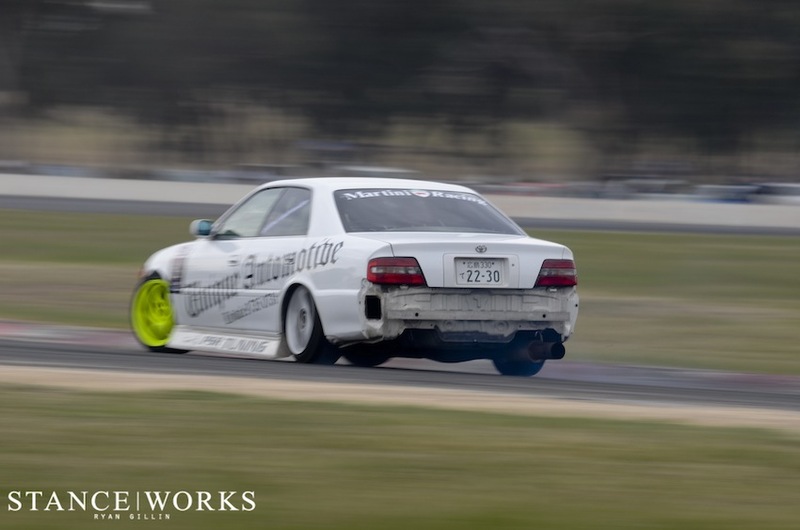 If it wasn’t for people like Yoshi and the crew, local drifters wouldn’t be able to hone their skills and move into the international scale of events as so many already have. 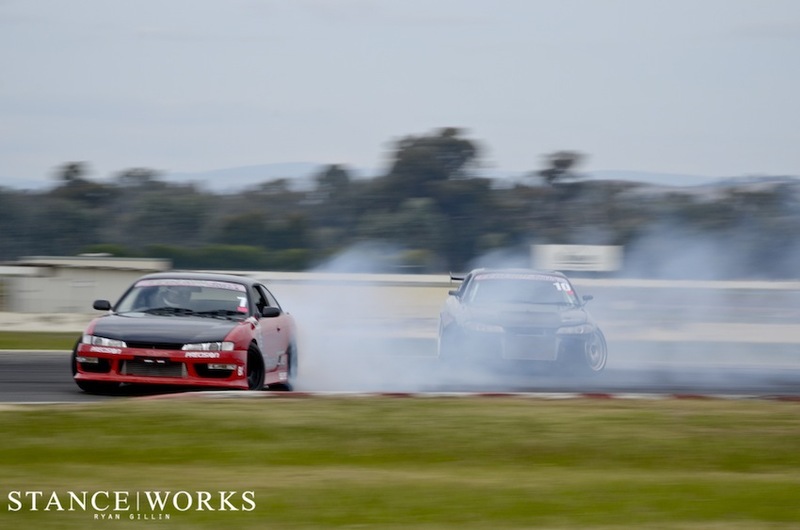 Props go out to Leighton Fine for taking out the pro class, and Nic Ferroni for winning the street class. 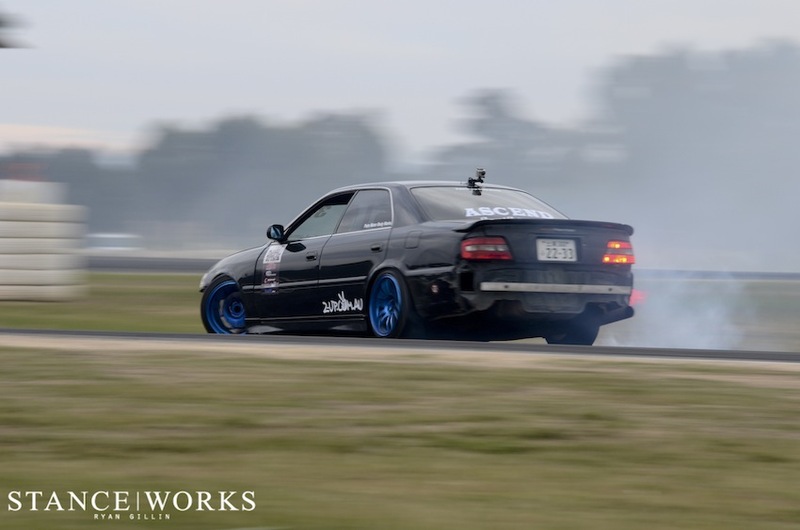 I am already looking forward to the second Drift Attack for the year in October, which I’m sure will entertain the masses just as much. 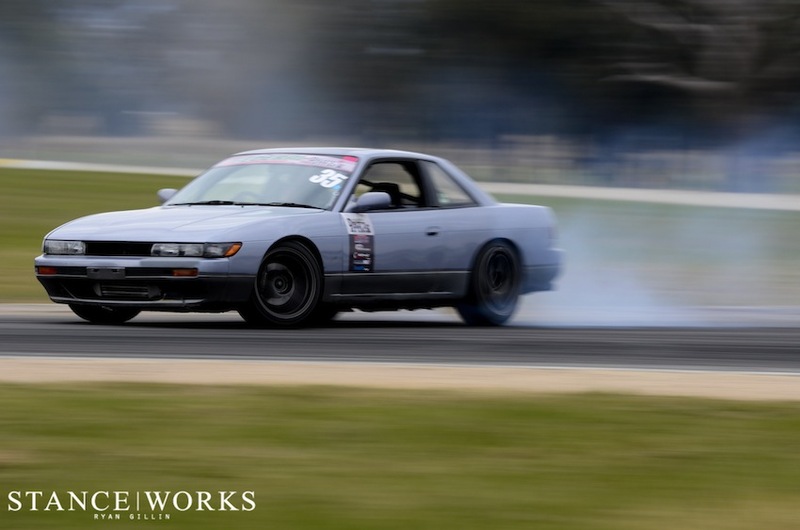 Thanks to Ryan from infinite focus photography for shooting some pics for us, be sure to check out his Word press if you get a chance!